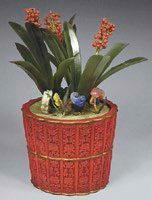 A lacquer flowerpot of lobed form, the slightly flared sides supported on a foliate wood stand in painted lacquer. 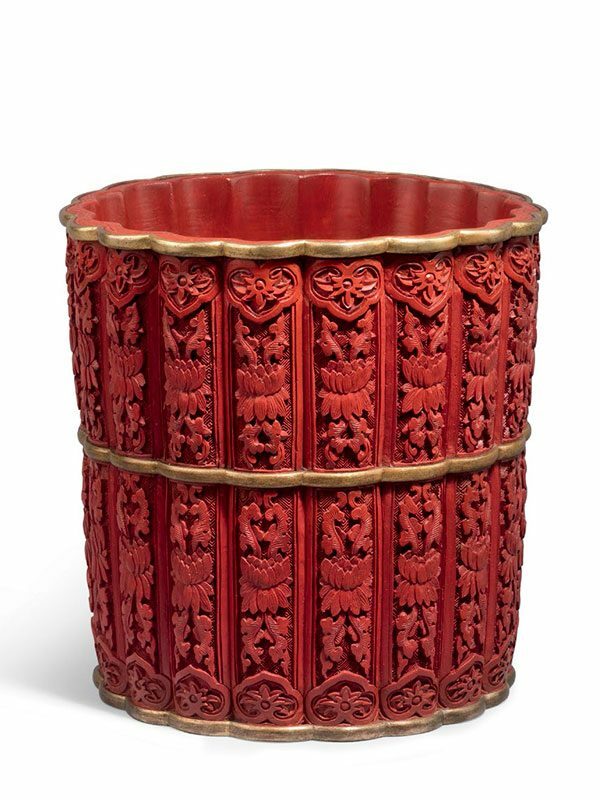 Each of the eighteen lobes is carved in bright red lacquer with stylised lotus flowers on a ground of geometric diapers, with ruyi cloud pattern above and below. The flat rim is engraved with a continuous key-fret pattern. 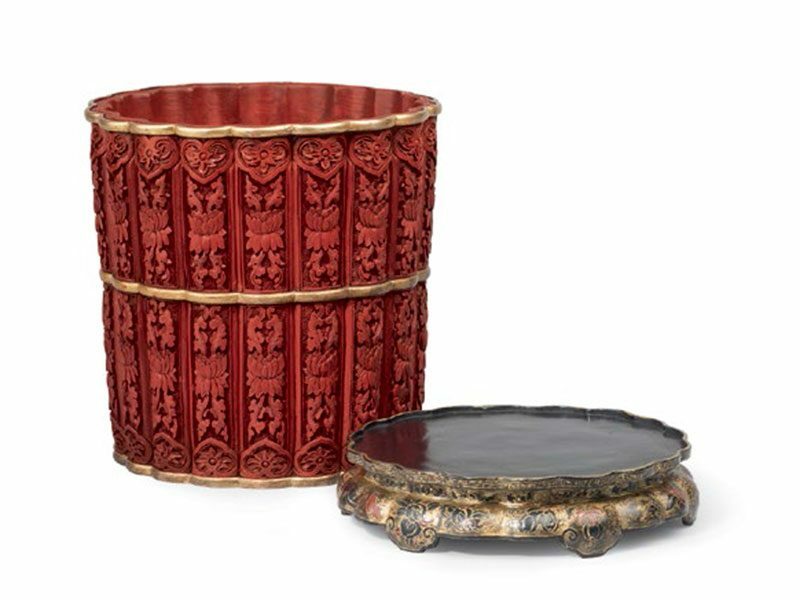 The body of the pot is evenly divided into two sections by a horizontal beaded band in giltbronze. This giltbronze band is repeated at the top and at the bottom of the pot. The interior and the base of the pot are lacquered in black. The foliate wood base is painted with melons, grapes and finger citrons in tendrils against a gilded ground.